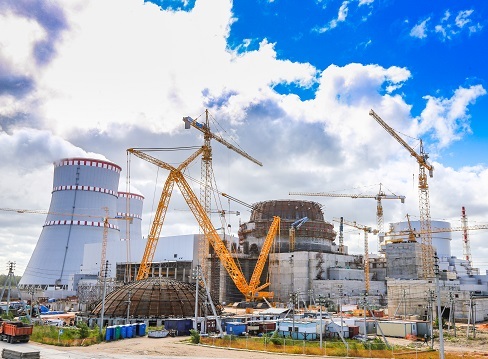 The major crane elements have been delivered to the reactor building site of the second power unit of LNPP under construction. 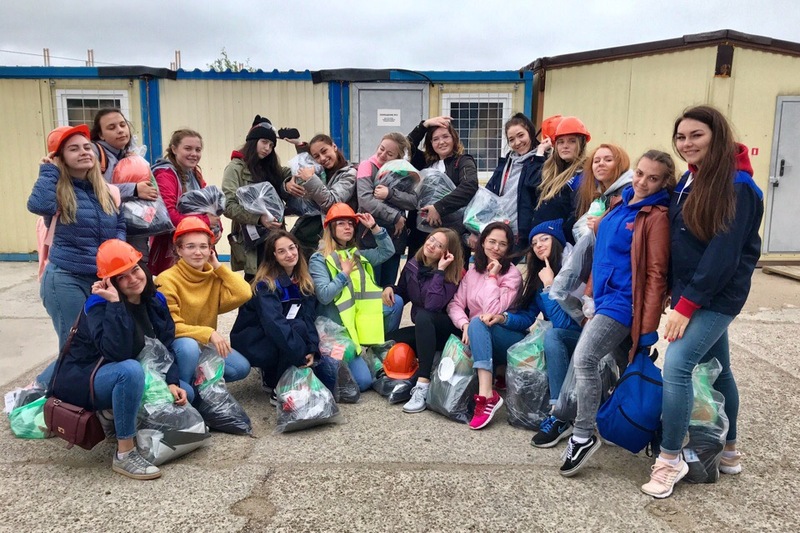 This year more than two hundred students from ten regions of Russia participate in Multiregional student construction – Atom for Peace LNPP-2018 project. 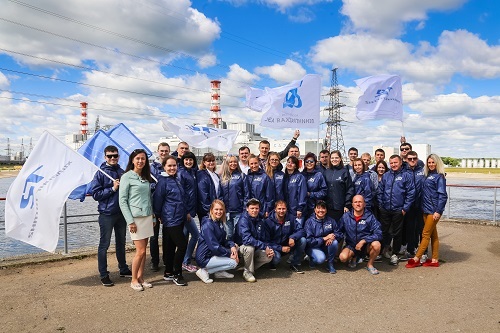 For the time being, the specialist of JSC MSU-90, subsidiary company of TITAN-2 holding, have performed 70% of the total welding scope. The specialists of JSC MSU-90 and JSC CONCERN TITAN-2 performed the installation. The dome was installed to the height of more than 50 meters. 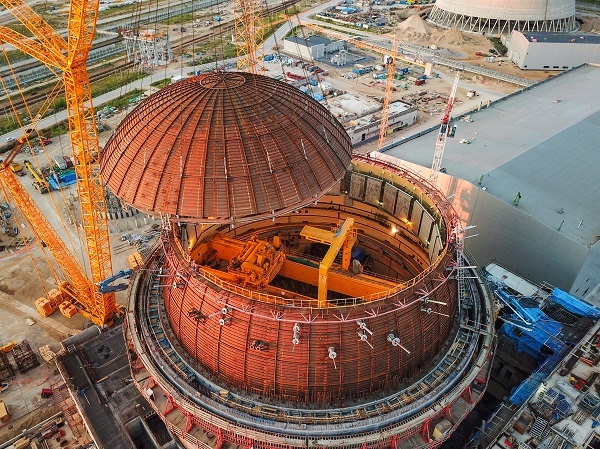 The extension is required to lift the reactor building dome on the second LNPP-2 power unit under construction. The installation of the dome equipment will finish soon. 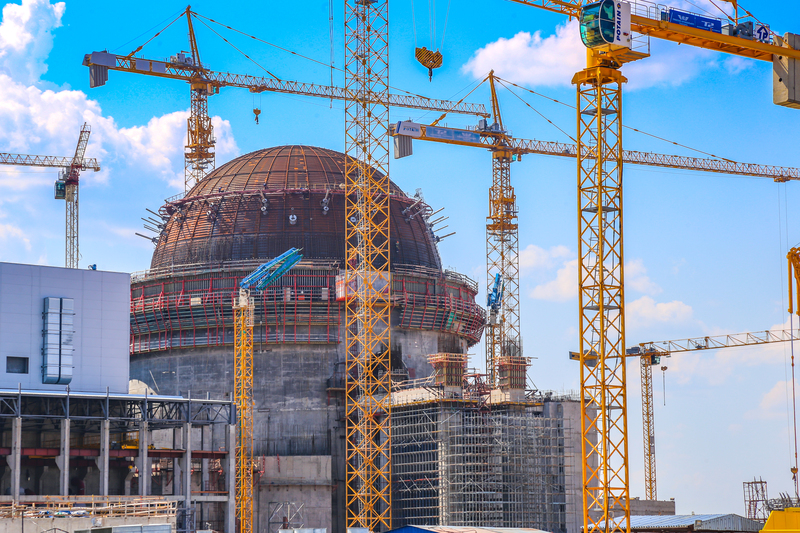 After that, the structure will be installed onto the reactor building. The installation was executed by the hoisting installation subdivision SMU-2 of JSC CONCERN TITAN-2. This subdivision is responsible for the assembly of all the cranes at LNPP-2 power units construction site. 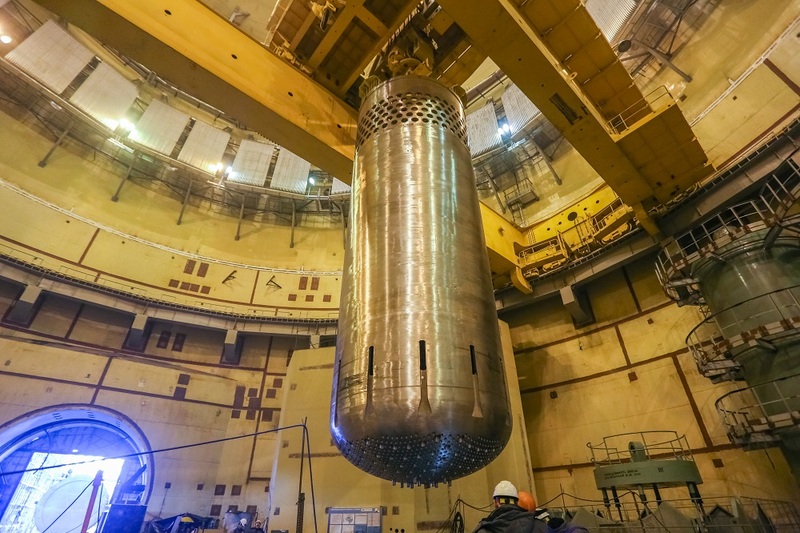 The works on the polar crane in the reactor building took several months. 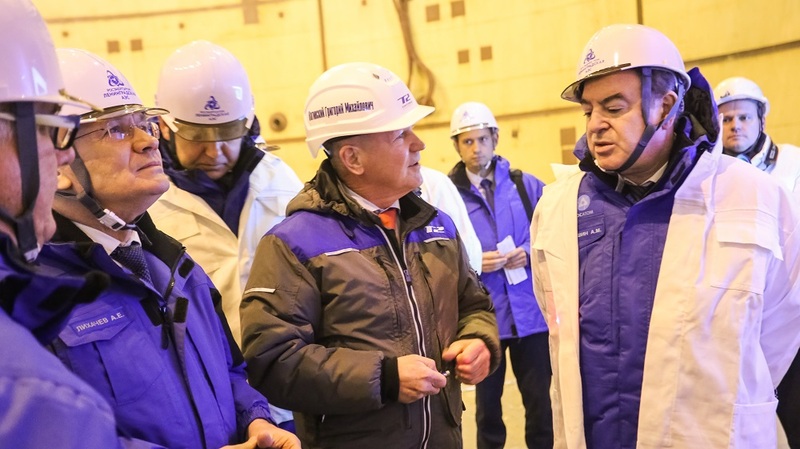 The load trolley and maintenance portal of the crane were preassembled in the special area close to the reactor building. The weight of these assemblies was 102 and 10 tons respectively. 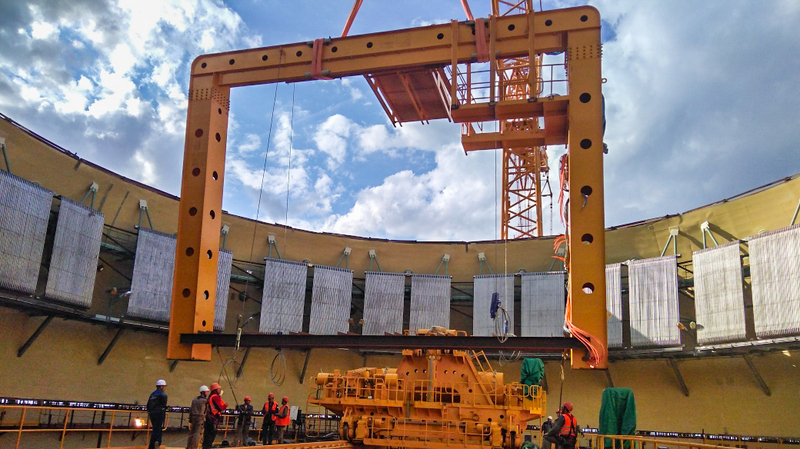 The specific design was made to move these components with Liebherr LR11350 crawler crane into the reactor building. Open-top method was used to move the components through the roof, which has not yet been closed with the dome. 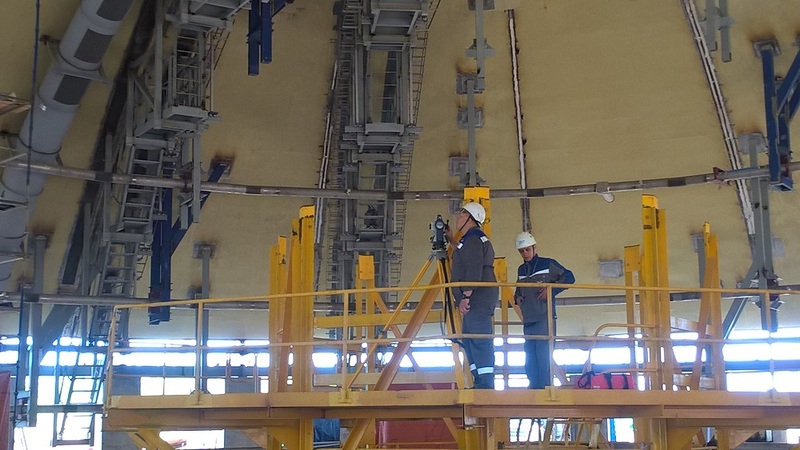 Two months earlier SMU-2 specialists performed the complicated installation of the polar crane beam weighing over 200 tons and 40 meters long. The load trolley and the maintenance portal were installed on this very beam. Now the specialists proceed to the final assembly and commissioning works. 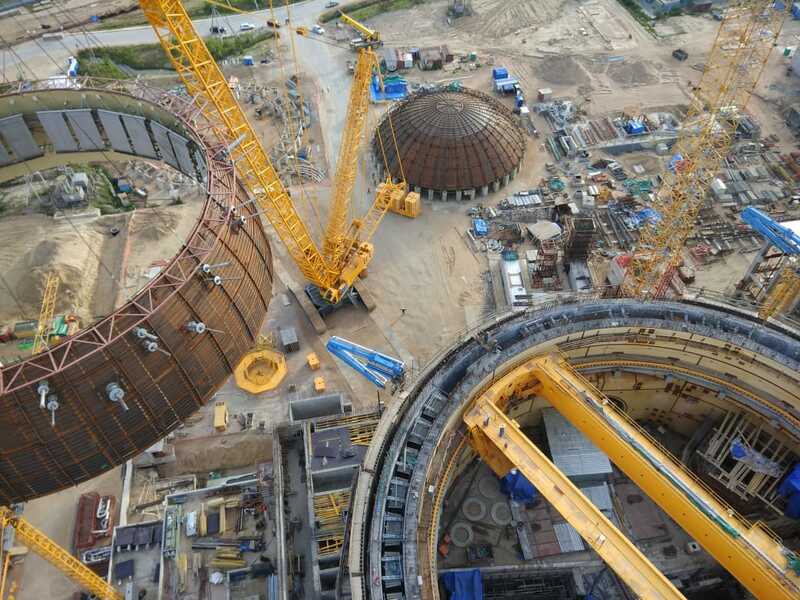 After the reactor building is covered with the dome, the installation of the crane power supply system will commence. They covered 2000 kilometers in 5 days. 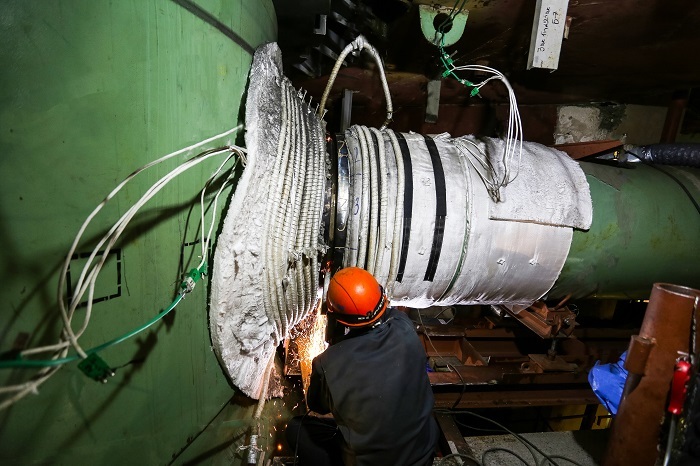 The specialists of JSC MSU-90 and JSC CONCERN TITAN-2 performed the installation.